Visiting the smallest independent state in the world that sustains its economy purely on postage stamps, tourism, and book sales is a definite bucket list item. I mean, that’s a Guinness Book of World Records title straight out of the huge shiny books that elementary school kids peruse longingly through with heads full of dreams. The Vatican is a UNESCO World Heritage Site of pilgrimage for Catholics and a visit into a palatial papal theme park of sorts for the rest. 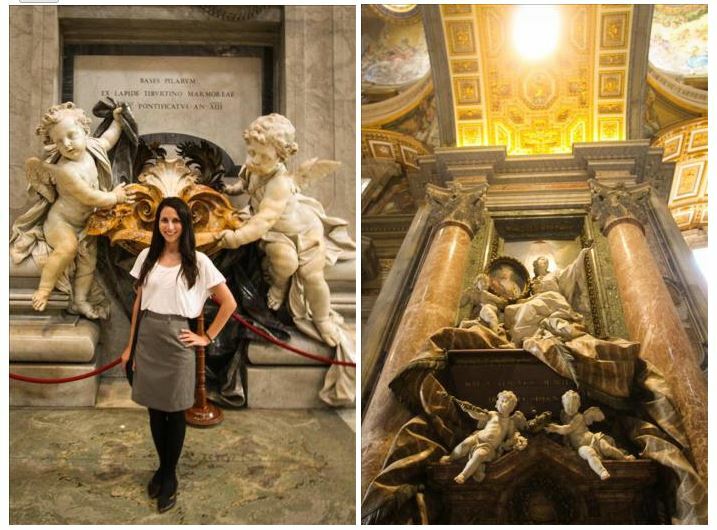 Its pristine plaza, priceless paintings, and gorgeous architecture create an awe-inspiring atmosphere of reverence. 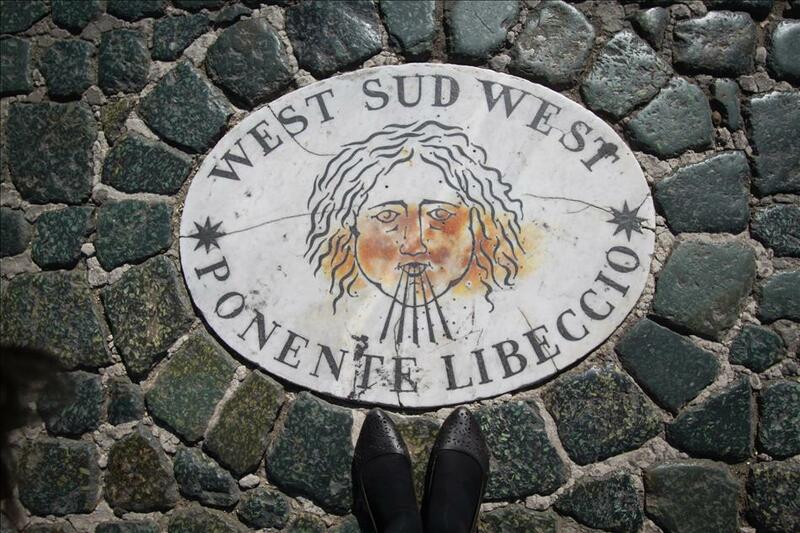 Planning a visit can be a little involved, but the effort is totally worth it, the place is amazing. 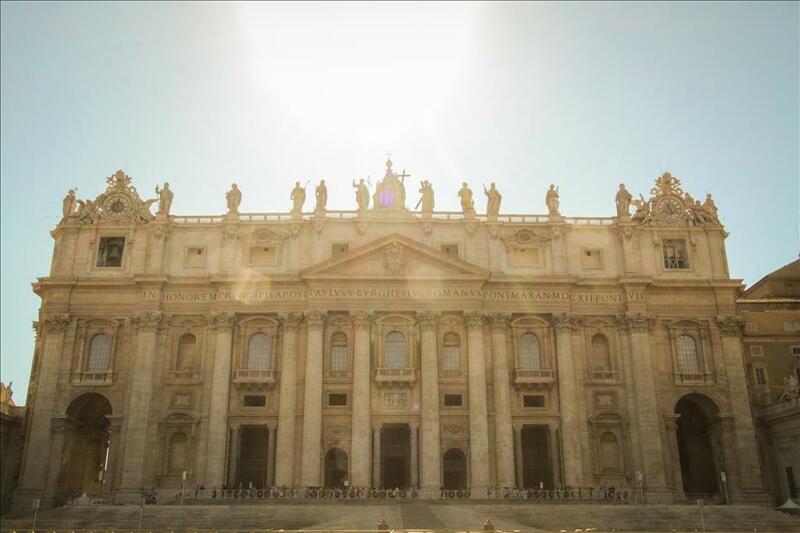 St Peter’s Basilica is probably the largest attraction of the Vatican, and is absolutely breath taking. 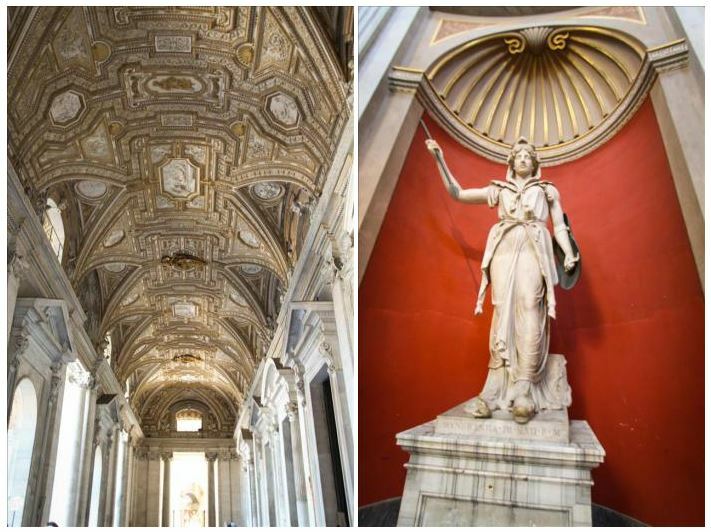 Its large marble halls house the most important Catholic altar in the world, two popes lying in state, and some of the most beautiful artwork from notorious artists Bernini, Michelangelo, and Domenichino among others. As a total art nerd, I had died and gone to heaven, ironic, as this place is supposed to serve as a method of getting to getting to that divine destination. I did multiple circuits strolling from Michelangelo’s Pietà to Bernini’s Baldachino and Cathedra, to the lovely Cherub Holy Water fount by Lironi and Batista de Rossi while being wowed by everything in between and circling around again. St Peter’s Square just outside of the Basilica is a gorgeous open air piazza surrounded by the Vatican Museum’s extensive halls that boast countless columns and sculptures extending into the sky. 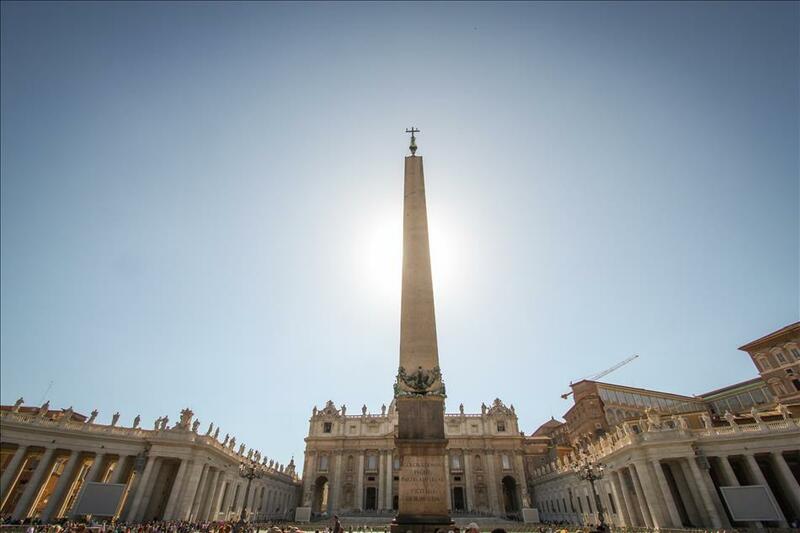 The central obelisk is straight from ancient Egypt, and although seemingly out of place, adds to the magnificence of the Vatican’s collection. Visitors can sit at the obelisk’s base and take in the opulence of it all, or watch people from all over the world take photos ranging from serious to comic. I watched a group of five middle-aged nuns take selfie after selfie in front of the Basilica like 13 year olds discovering Instagram. It was great. 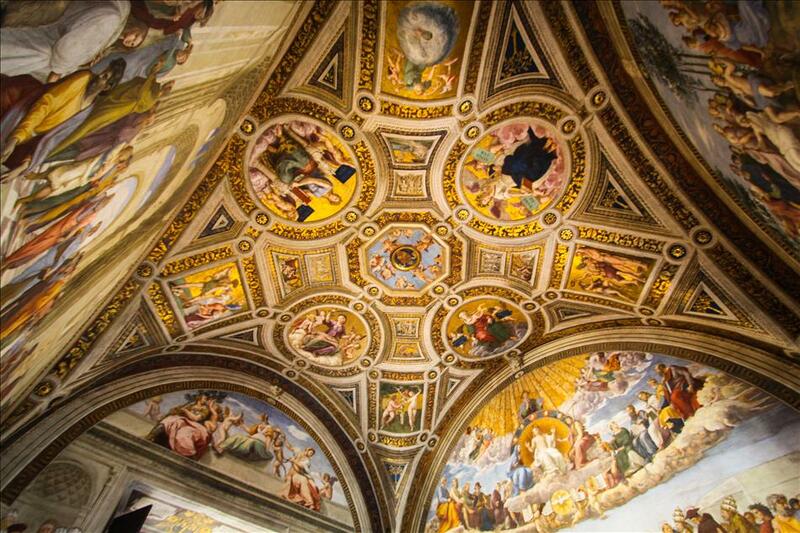 The Vatican Museums are hall after hall and chapel after chapel of extraordinary masterpieces that everyone can appreciate regardless of religious or artistic background. Gilded frames that are masterpieces in themselves house the most famous and venerated paintings of the last 500+ years, rich tapestries cover nearly every inch of wall, and the ceilings, oh the ceilings! 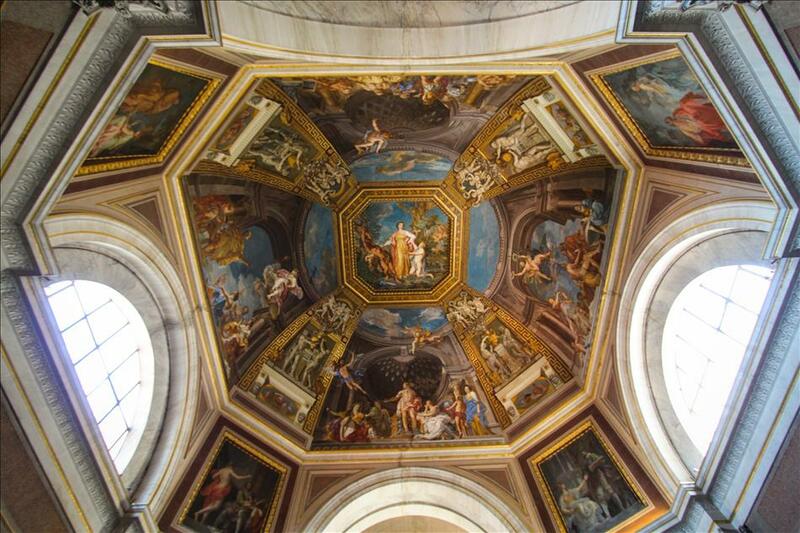 Try not to break your neck walking around with your face turned skyward and eyes on the amazing frescoes and beautiful painted panel ceilings. 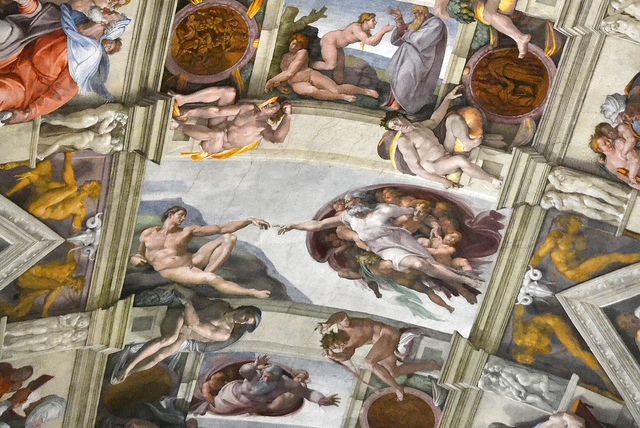 The Sistine Chapel is the grand finale after wandering through crowded halls of wonder. The ceiling is a window into heaven with angels frolicking about in the clouds in scenes surrounding the iconic image of the unbridgeable gap between God and man reaching out to each other for eternity. The chapel’s sanctity is preserved through silence (ideally) and the fact that no photography is allowed in this magnificent chamber. This room is on so many bucket lists and brings so many people to tears. It’s hard to describe the gorgeousness and the gravity of this chapel (you just have to go and see it yourself). The Vatican is a world-record-topping opulent menagerie of art, history, architecture, and infinite photo opportunities that should probably be on your Europe bucket list if it isn’t already. The basics can be seen for free by backpackers on a budget, but I would recommend the full experience, you just can’t beat the Sistine Chapel or the golden halls of the museum. Leave your passport at home. A passport isn’t required to enter, and you don’t want to lose it to a pickpocket. Dress to impress the guards. A strict dress code is enforced. Knees and shoulders must be covered, no shorts for both genders, and no hats. Eat First. You can’t bring food, drinks, or pets in. Bad Touch! No touching the art no matter how beautiful it is and no flashing it with your camera or laser pointing it. Tickets Please! 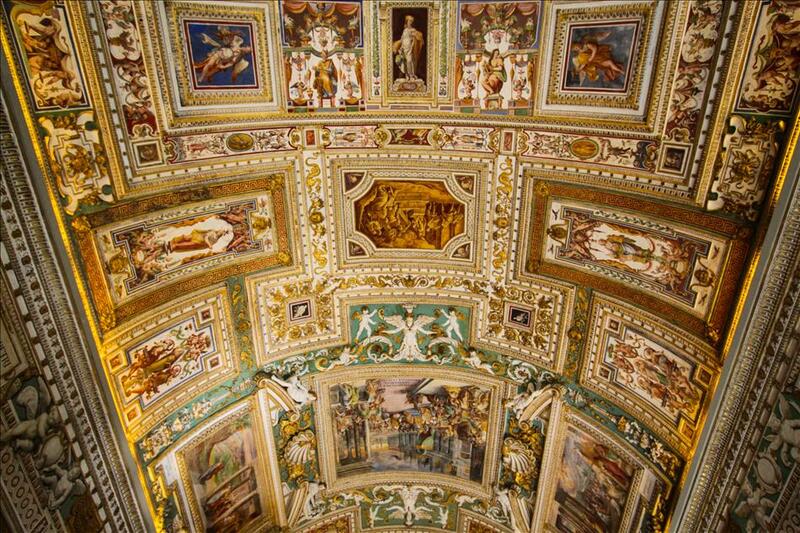 Vatican Museum tickets are € 16 and can and should be bought online up to 60 days in advance (I wish I had!) to skip an extensive line where every two minutes a scam artist will offer you the amazing opportunity to get out of the long line and buy a ticket with his company (don’t!). Make the Time. Hours are 9-6 Monday through Saturday; check the website to make sure it will be open on your desired date.